The America the Beautiful Series from the United States Mint is the ideal collectible series that also provides an investment choice for precious metal buyers. The coins in this 56-design series are available with each release in a bullion version and a vapor-blasted burnished version with much lower mintage figures. The 2018-P 5 oz Burnished ATB Block Island National Wildlife Refuge Silver Coin is currently available to you for purchase online from JM Bullion. Coin arrives inside of a protective capsule and box with Certificate of Authenticity! 45th coin overall in the ATB Series and the 5th release of 2018! Limited availability of burnished ATB coins! On the obverse is George Washingtons bust. The reverse includes the image of a night heron flying over Cow Cove Beach. Issued for Rhode Island in the ATB Series. Celebrates Block Island National Wildlife Refuge. Features a P mint mark. The Burnished ATB Silver Coins from the United States Mint are unique in a visual way when compared to their bullion counterparts in two ways. Most significantly, the burnished coins are vapor blasted for a matte finish that contrasts easily against the shinier finish found on the bullion versions of the coin. 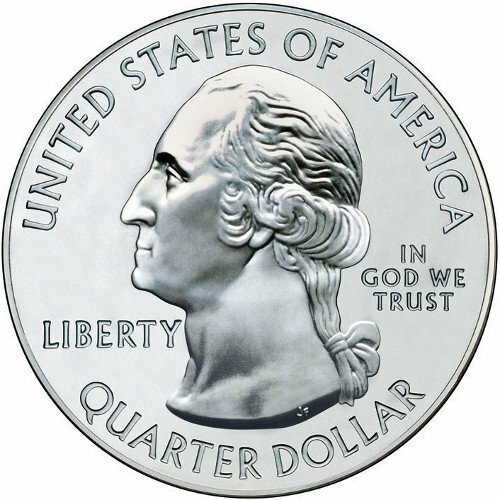 Additionally, under the inscription of In God We Trust on the obverse of Burnished ATB Silver Coins is a P mint mark from the Philadelphia Mint. Block Island National Wildlife Refuge is located 13 miles south of the Rhode Island coastline and 14 miles east of Long Island in New York. The island is named after Dutch explorer Adriaen Block and it has a year-round population of just 1,051 people. The islands population swells in the summer months as residents of the East Coast flock to the island to hike, bike, kayak, canoe, and enjoy the beaches. On the reverse of 2018-P 5 oz Burnished ATB Block Island National Wildlife Refuge Silver coins is the image of a black-crowned night heron as it flies over Cow Cove beach near the North Lighthouse on Block Island. The island may be a popular tourist destination on the East Coast, but it serves a greater purpose as a wildlife refuge for birds flying along the Atlantic flyway. The northwestern tip of the island remains undeveloped as a natural resting and breeding ground for birds on the migratory route. The obverse of 2018 Burnished ATB Block Island Coins includes the left-profile portrait of George Washington. The nations first president is depicted here in a design originally crafted in 1932 by John Flanagan for use on the circulation quarter. These Burnished ATB Coins arrive with a protective plastic capsule around the coin and the specimen housed within a United States Mint display box. Additionally, each coin comes with its own Certificate of Authenticity. We encourage JM Bullion customers to call us with questions at 800-276-6508 when buying silver. You can also connect with us online through our live chat and email address options.